Absolutely LOVE this lens! It's a perfect combo with my D300. Super responsive, very sharp and great contrast. Plenty of 17-55 pics at my NZ gallery as well as some 70-300 VR pics. Well, I know this lens has received many mixed reviews from many of us pround Nikon users. But I must admit mine is simply a piece of gold for my taste. Great lens! I take it to travels if I have to leave others home. it does the job really. Splendid lense ! One of my favorites... Pictures are incredible. 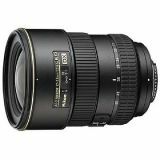 I have compared this lens with the 17-35, the 17-55 definitely produce tack sharp photos plus you get more focal length. Add the 70-200 VR in your bag and you are set. Enfoque rápido y calidad excelente. Si tienes dinero cómpralo. I use my 17-55mm as my daily lens as well...tack sharp and truly fastest in its class. Fantastic lens! Very fast and extremely sharp. Works great in low light conditions. Use it as my everyday lens as it is my favorite lens to date.